A family of sea turtles swim in the sea. The background is a painting of the ocean in beautiful shades of blue. Personalize this invitation with the details of your baby shower. The example shown is for a couple, however it can easily be customized for the expecting mom. 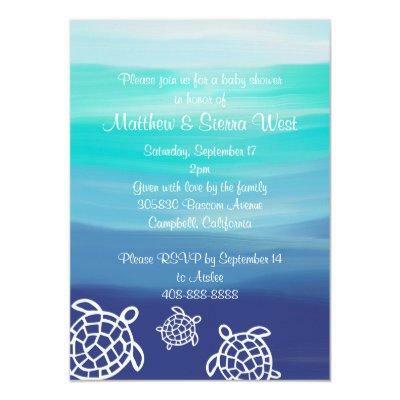 This invite is great for a beach or ocean theme.